From whole ducks to Impossible Burgers. Salmon collar at St. Anselm. Photograph by Scott Suchman. Like pork cheeks of the sea, the once-overlooked cut holds luscious, fatty meat. Forget Starkist—cracking a can of Galician cockles or oil-rich sardines is like a mini-trip to Spain. It always feels like a delightful little luxury. The natural progression of the fancy whole chicken trend (and much better in our book). 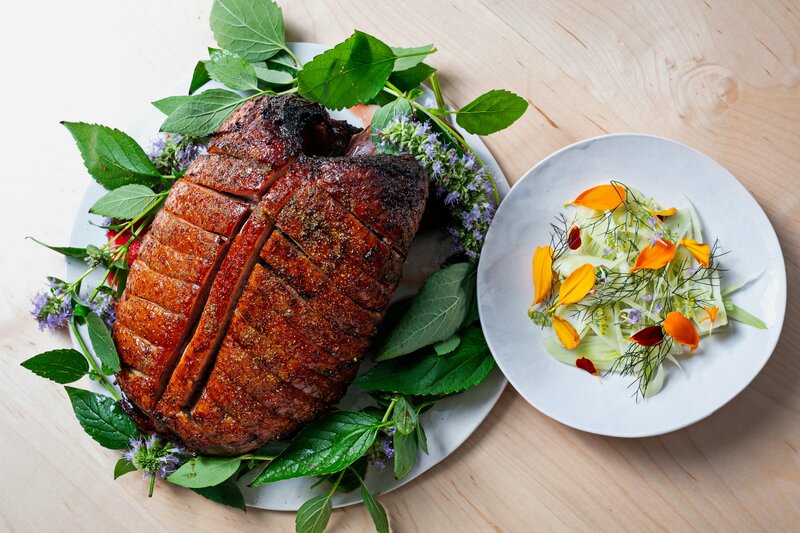 Roast duck for two with fennel at Reverie. Photo by Scott Suchman. The ’50s party snack is making a welcome comeback. Ice cream cake and brownie sundaes are on the menu? Sign us up. Fro-yo has nothing on this creamy treat. Gooey cheese, what’s not to love? 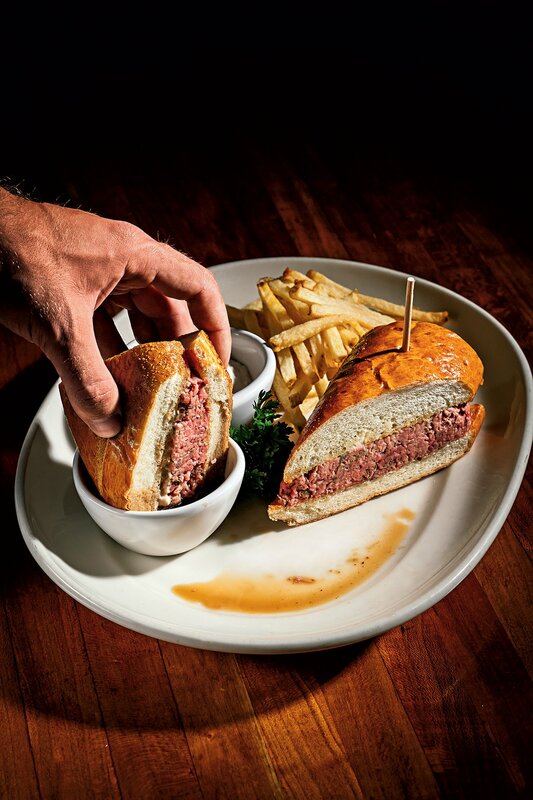 The French dip at Woodmont Grill comes sided with both jus and horseradish sauce. Photo by Scott Suchman. The ancient whole grain lends a wonderful nuttiness to a loaf of bread. The new crispy Brussels sprout. Hey, sometimes we want two pasta courses. The fewer phone calls, the better. No one actually enjoys standing in line for food. 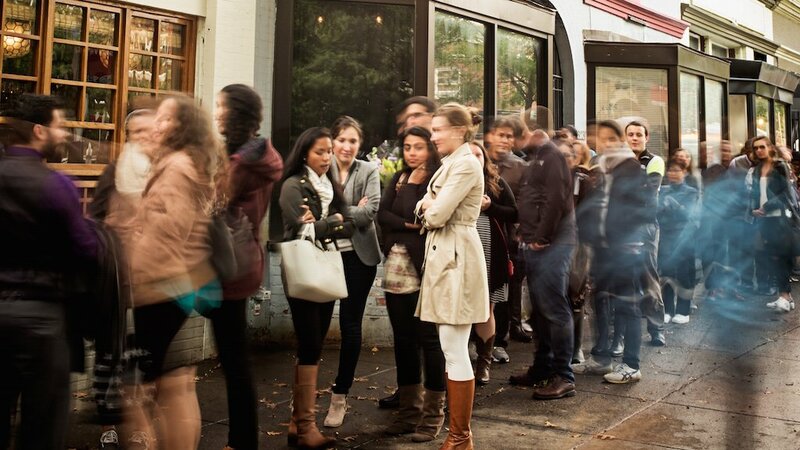 The line at Bad Saint, one of the most recent restaurants to adopt a reservation system. Photo by Scott Suchman. Now that the cacio-flavored-everything trend is waning (i.e. Pizza! Ice cream!) we can finally enjoy the traditional Roman pasta again. The salty bitterness balances with sweets in a surprising way. 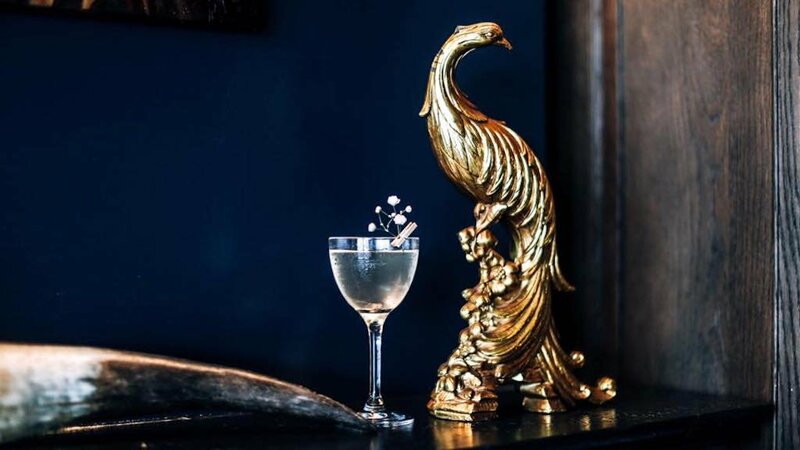 Bartenders are jazzing up mocktails with this non-alcoholic spirit. Miso and seaweed in your drink? Don’t hate it till you try it. Miniature clothespins clasp baby’s breath n this Columbia Room cocktail. Photo by Farrah Skeiky. No longer just for vegetarians. They really do taste almost like the real deal. We prefer a restaurant that looks like a beautiful garden to one that looks like an industrial factory. Because sometimes you want a great meal at 3 PM. 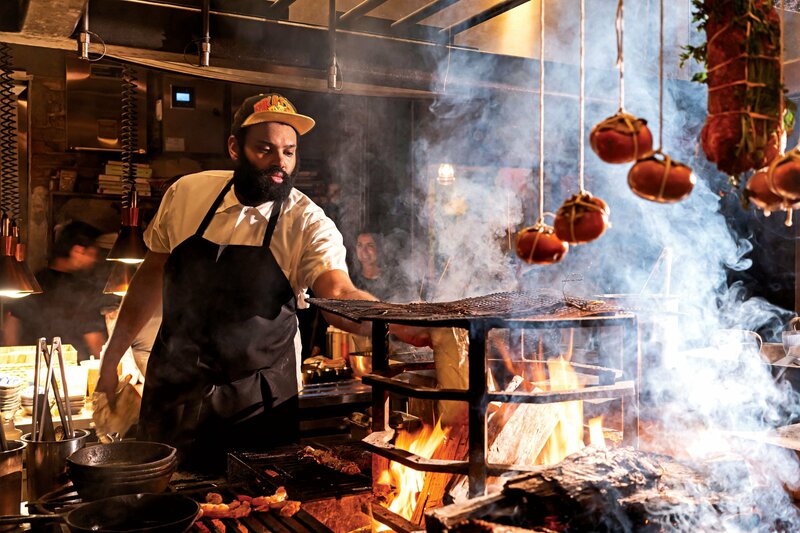 A little smoke and char will unleash your inner caveman. The city’s lunch game has been upped considerably. Who can resist something delicious rolling by? Because you can’t have something (good) for everyone. Anyone can make avocado toast. Delicious lobster toast? Not so much. Tropical vacation vibes all year long. 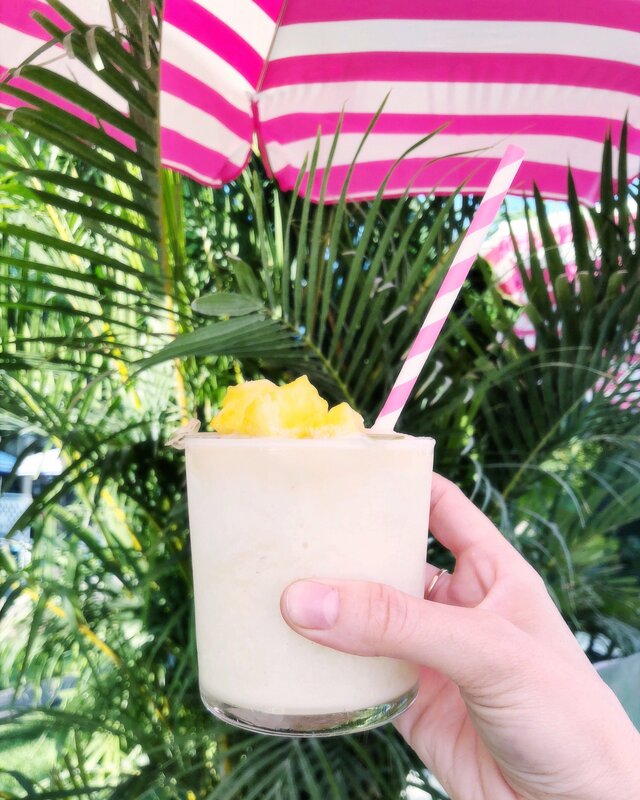 Drink pina coladas under pink umbrellas at Whaley’s Rosé Garden. Photo by Sally Irmer. A version of this article appears in the 2019 100 Very Best Restaurants issue.